Just look at this glittery goodness! Incredible right? Do you know what all this glitter is? Nail polish, my ladies, NAIL POLISH! 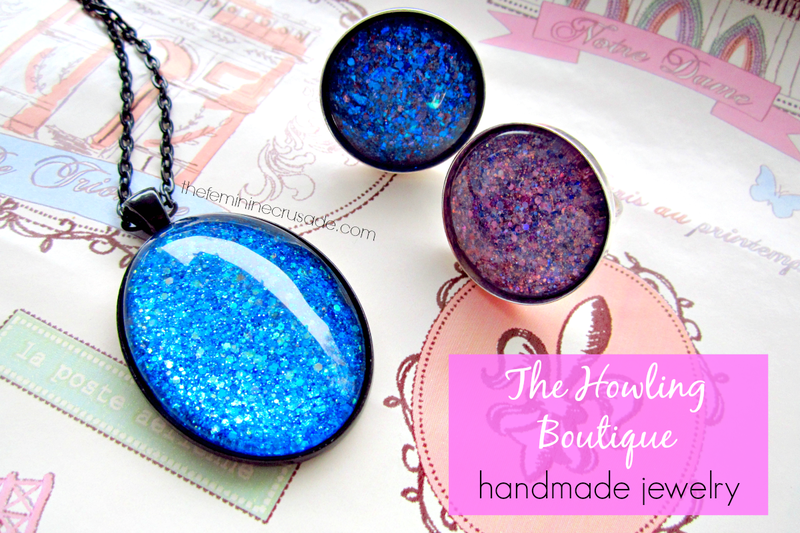 The Howling Boutique is an etsy shop that makes handmade, hand-painted jewelry. And not only that each glass piece is painted with layers of nail polish also made from scratch. When I saw her jewelry I was already drooling but when she told me it was nail polish, I almost danced in joy. Mardi (the owner of THB) very generously offered to make me my very own customized pieces inspired by the nail polishes I love. I was in heavens! 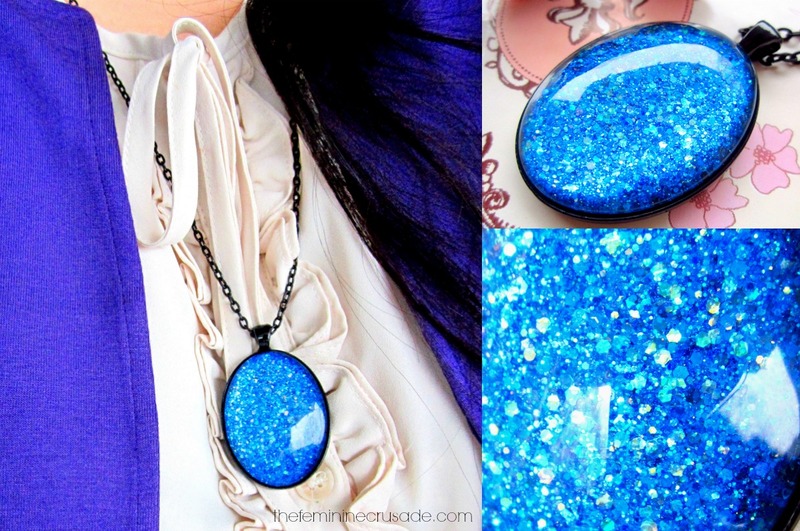 First one is a gorgeous royal blue glittery pendant set in an antique black tray with chain. Every necklace is also available with black organza ribbon but I chose the chain for myself. Do you see how this pendant glows? Blue hex glitters always fascinate me, thus I was bound to fall in love with this piece. On the left is a beautiful colour combination of baby pinks, some purples and some tiny blue flecks. The depth of colours in this ring is amazing. 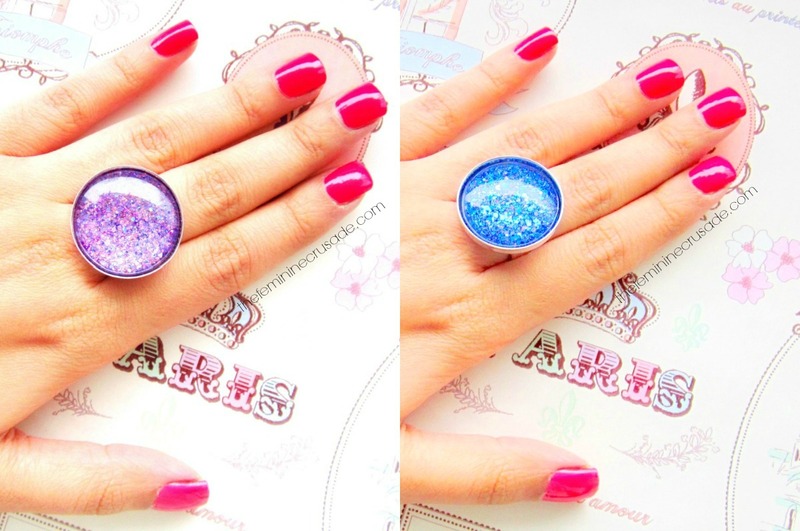 On the right is my favourite piece, because it is a blue but it is also a purple, it just makes any outfit pop. Both the rings are adjustable and set in a silver tray. Each glass piece is of 25mm but 20mm size is also available. Use code FEMININECRUSADE (expires March 21' 2014) to get 15% OFF your entire purchase. And now for the very fun part. 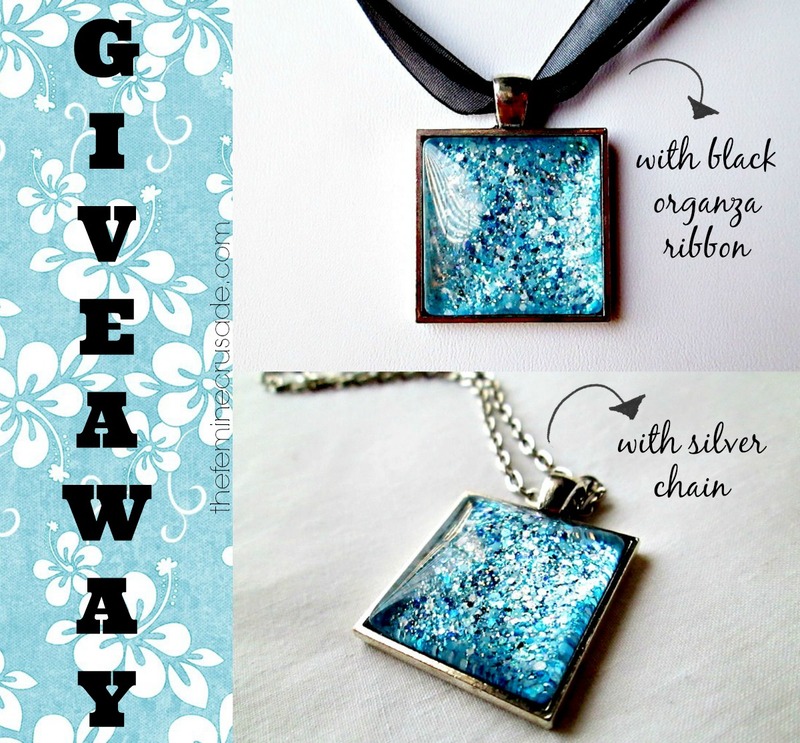 The sweetheart Mardi is also giving away one of my readers a stunning black, sky blue and silver hand-painted square necklace which is set in silver tray. The winner can choose to either go for a black organza ribbon or a silver chain (2 sizes available). So what are you all waiting for? Start entering and after 30 days or so one of you will be rocking this gorgeous piece. THE GIVEAWAY IS OPEN INTERNATIONALLY. Ends March 7' 2014.